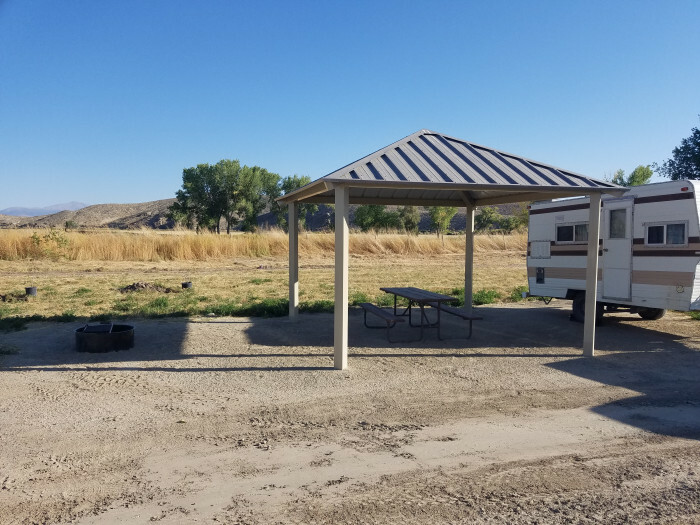 Ask fellow campers about "Walker River State Recreation Area" and nearby attractions. This is a new State Park. There is currently dry camping with metal shelter, fire rings with cooking grates, and picnic tables. There are flush toilets in the campground as well as free showers with hot water. There will be a full hookup campground built on he site in the future. This is part of a land grant to the State of Nevada. The Pitchfork Ranch, Rafter 7 Ranch, and Flying M Ranches are included in the park. As of today, only the Pitchfork Ranch area and the "Nine Mile" area are accessible. Other areas will be developed in the future. Free hot showers and flush toilets. State Park fees apply. 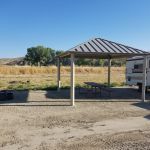 We camped at Walker River State Recreation Area in a Travel Trailer. Are you affiliated with Walker River State Recreation Area ?